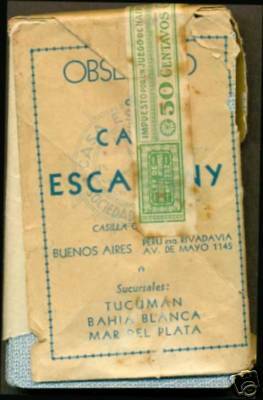 Casa Escasany was founded in Buenos Aires in 1892 as a jewellery and clock makers business by brothers Ramón and Miguel Escasany, who had arrived from Cardona (Spain). The firm became established with branches opening around Argentina. 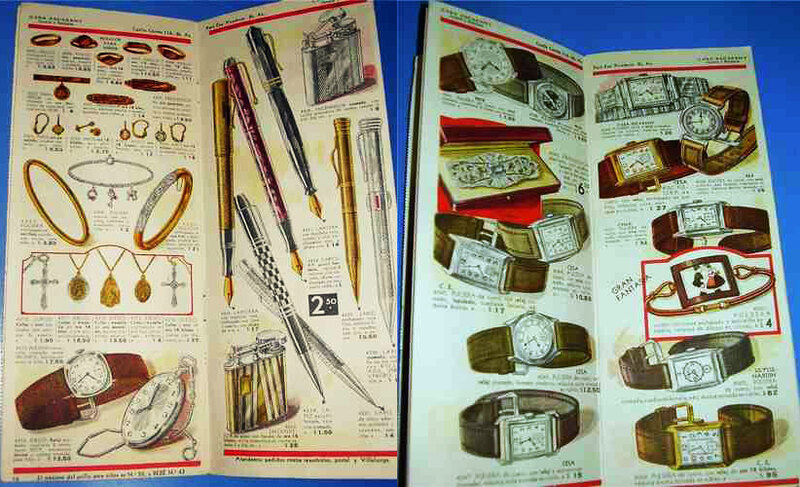 By means of illustrated catalogues, Casa Escasany became a household name associated with engagements, weddings, birthdays, anniversaries and baptisms, for which they provided silverware, rings and other commemorative jewellery. 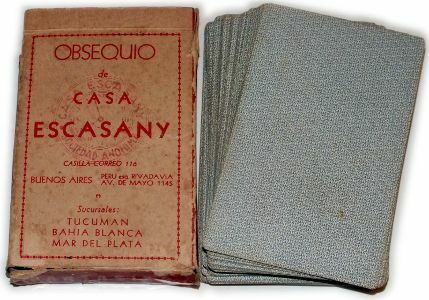 La Casa Escasany estuvo presente en las familias argentinas durante todo el siglo, al punto que sus productos podían encontrarse tanto en las casas de las familias más humildes como en las de las más adineradas. Característica de esta Empresa fue la alta calidad de su material promocional. 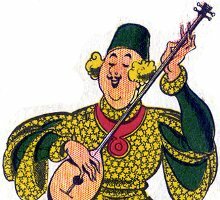 Uno de esos elementos ha sido los mazos de naipes españoles donde las figuras tenían elementos alegóricos a los productos que comercializaba Casa Escasany. 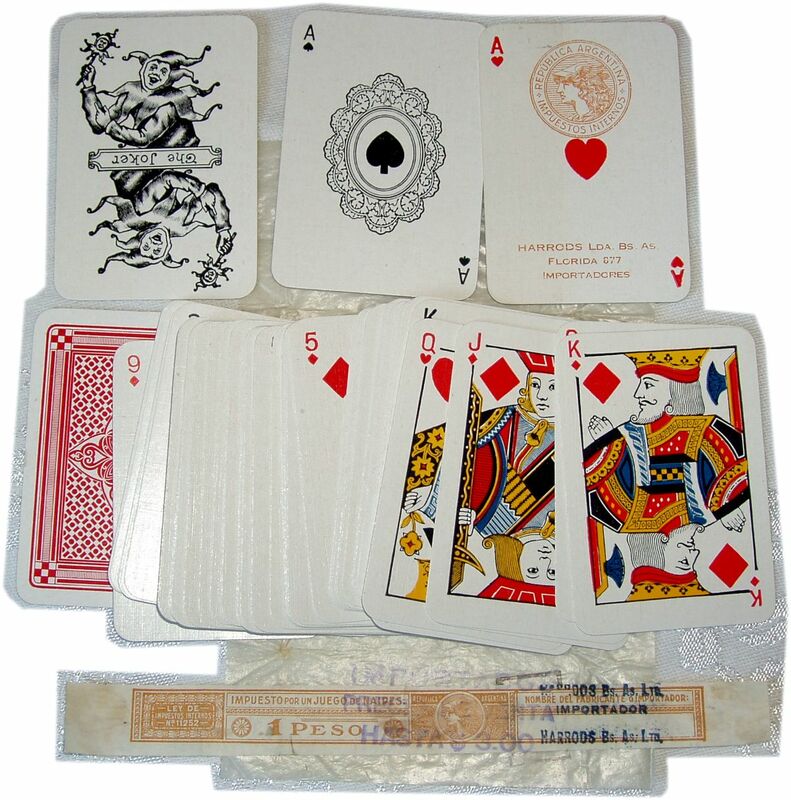 The novelty pack of playing cards shown here was given away to customers ~ items from the catalogue adorn each card. 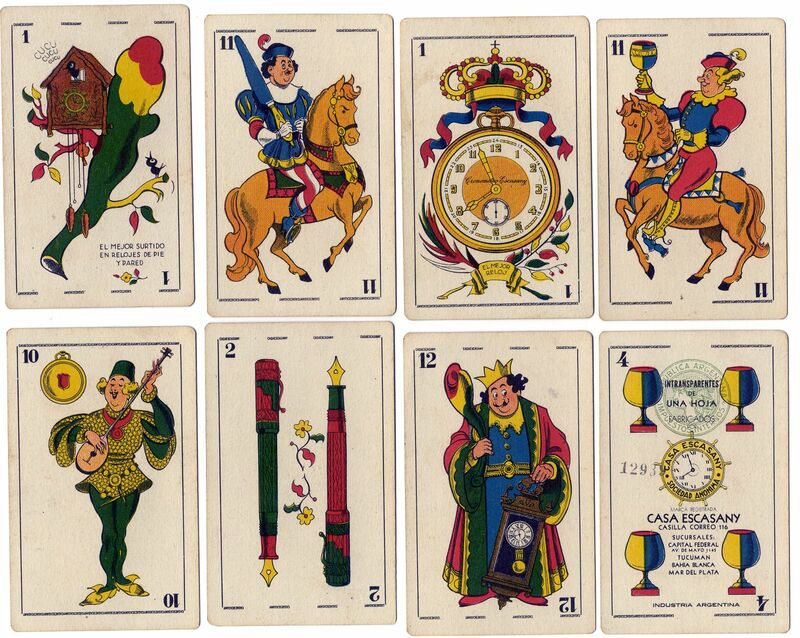 Two examples of the pack are shown which are both identical, except for the control numbers overprinted on the Four of Cups. Above: inside view of Casa Escasany store. 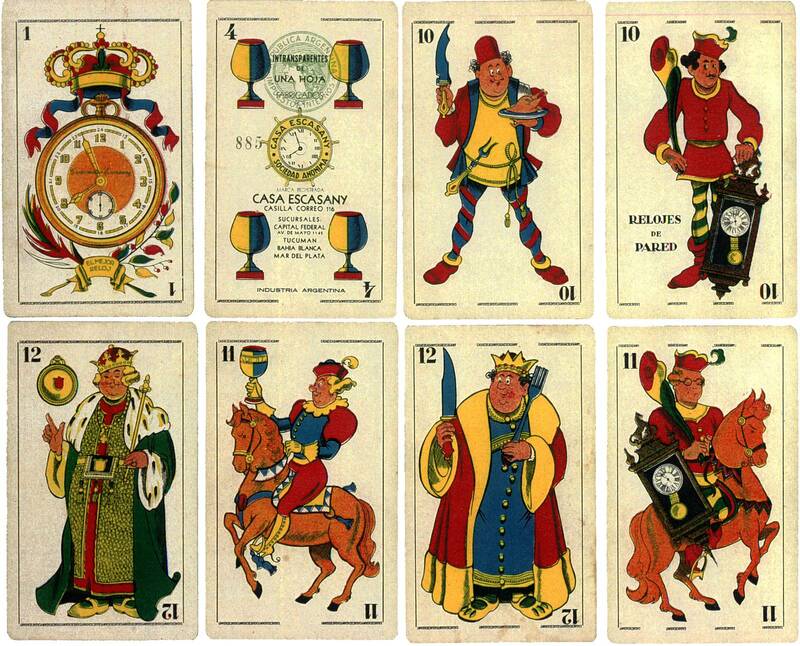 Many of the items on display in the store can also be seen in the playing card designs.